Yesterday, I had the opportunity to speak at length with Gwendolyn Y. Elmore, the Executive Director of the Arna Bontemps Museum in Downtown Alexandria. We spoke about the mission of the museum, the challenges it is currently facing, and the legacy of Arna Bontemps, who is largely recognized as one of the leading writers of the Harlem Renaissance. Born in 1902, Arna Bontemps spent the first few years of his life in a small house in Downtown Alexandria. 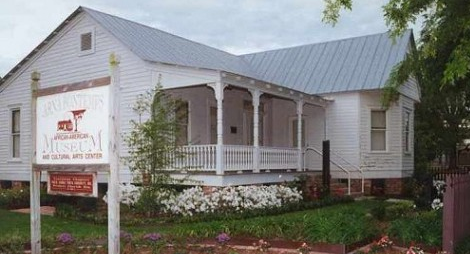 Today, the house serves as the Arna Bontemps Museum, which is the very first African-American museum in the State of Louisiana and is included in the State’s African-American Heritage Tour. Bontemps was noted as a poet, but he was versatile as a writer; he wrote fiction, non-fiction, personal essays, and even books for children. Years ago, I wrote about Bontemps and the museum in Alexandria. At the time, I didn’t understand the importance of supporting a museum honoring someone who only lived here for a few years. Of course, I’d never been to the museum, and I hadn’t read anything Mr. Bontemps had ever written. But I thought my point was logical: If he was important to the Harlem Renaissance, then why wouldn’t the museum be in Harlem? It was a naive way of looking at things, and I have since learned of the importance of this small museum as a cultural institution, a regional touchstone, and an historical timepiece. After speaking with Ms. Elmore yesterday, I learned something else: I learned what Alexandria meant to Arna Bontemps, as a writer and a person. Bontemps returned to Alexandria in order to tell the one true story he could ever possibly write: His own. It is difficult to imagine this experience didn’t change him as a writer. It’s probably the reason his late wife insisted that Alexandria would be the only proper place for Bontemps to be memorialized with a museum. 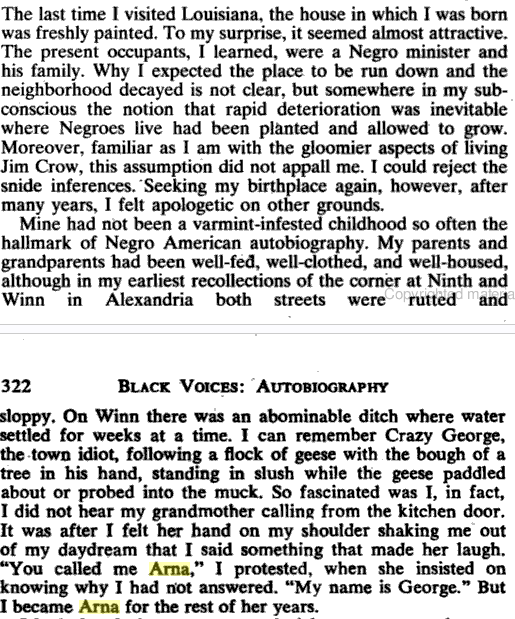 He was a part of a movement in Harlem, but, to him, “returning” meant going back to Alexandria. Upon the waves floats an empty bark. Upon the seas like an empty boat. The thunder lifts its resonant roar. That splits the clouds with a double rent. Moonbeams steal through the kindly rifts. I feel thankful to live in a community that celebrates its artists. I pledged to Ms. Elmore to do whatever I can to locate resources to sustain the work of the Arna Bontemps Museum. It isn’t simply about honoring one man’s legacy; it’s a learning institution, a place that offers cooking classes and workshops and programs for children. So, first thing’s first, pick up some Arna Bontemps, particularly if you’re from Alexandria. His books are his living legacy. And second, support the Arna Bontemps Museum. Here is their website. Like all museums in the State, they’re dealing with big cutbacks. A donation, even if it’s small, is the best way of acknowledging the museum’s importance to our community, and it will make a difference. Fantastic points altogether, you just gained a new reader. What might you recommend about your post that you simply made a few days in the past? Any certain?